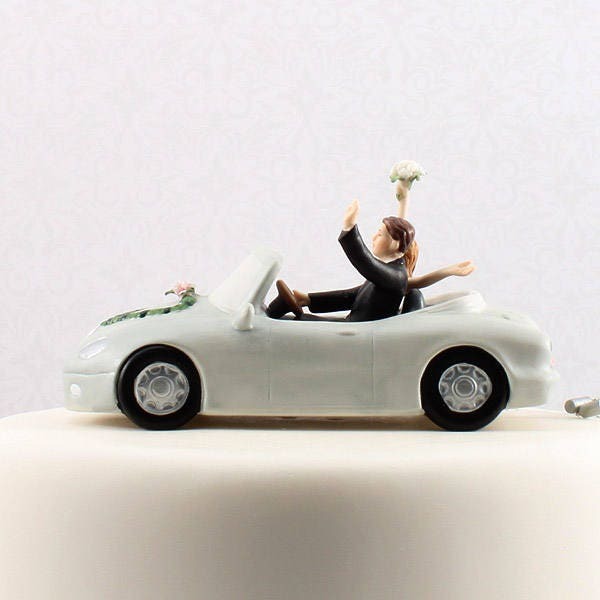 Wedding cake top bride and groom in get away car. 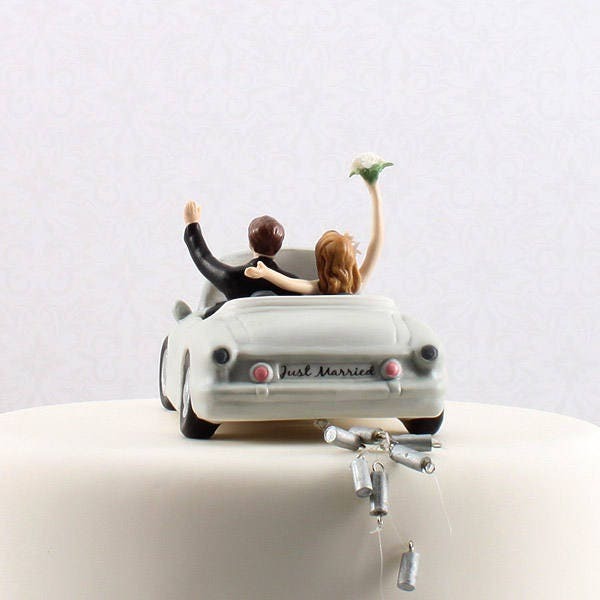 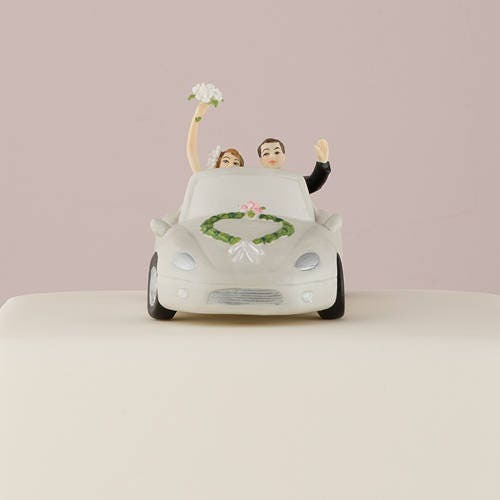 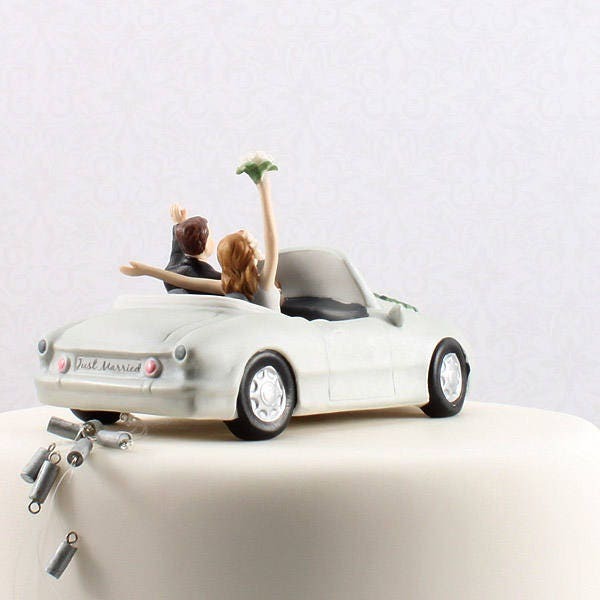 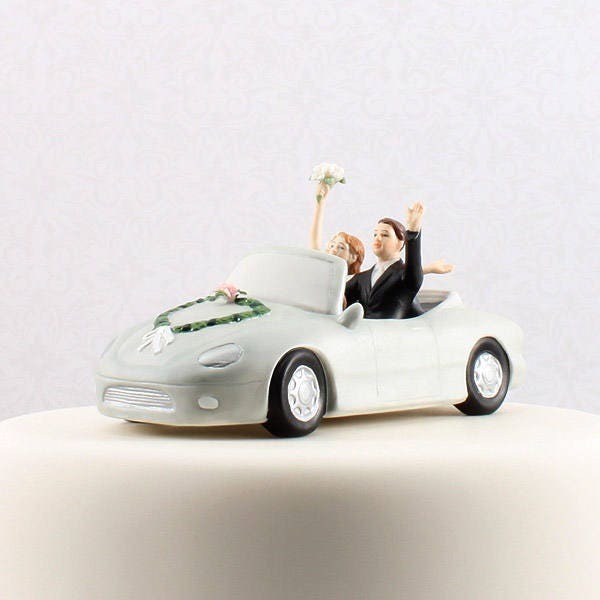 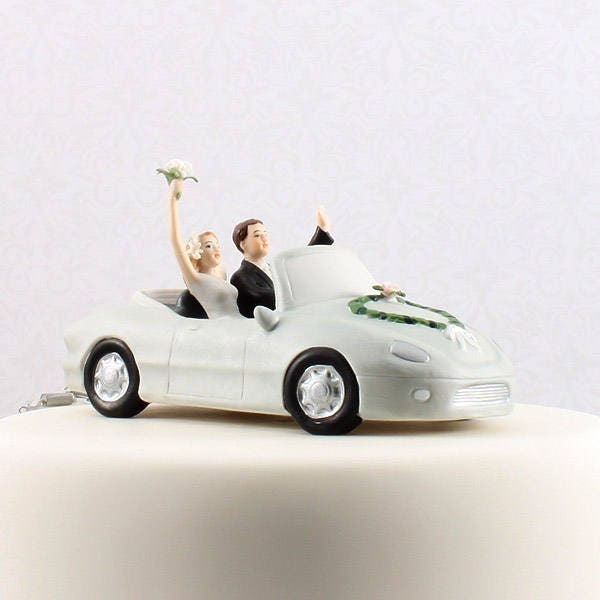 Honeymoon bound couple In car wedding cake topper. 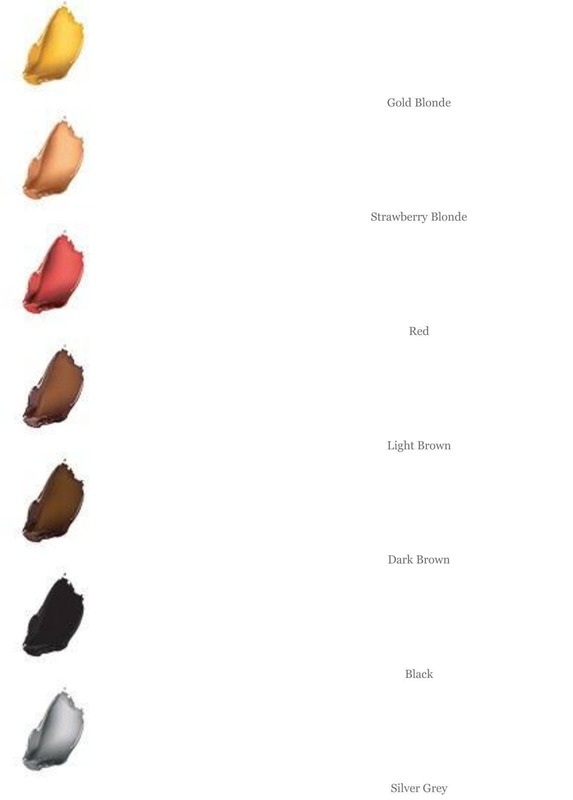 Select hair color of bride and groom. 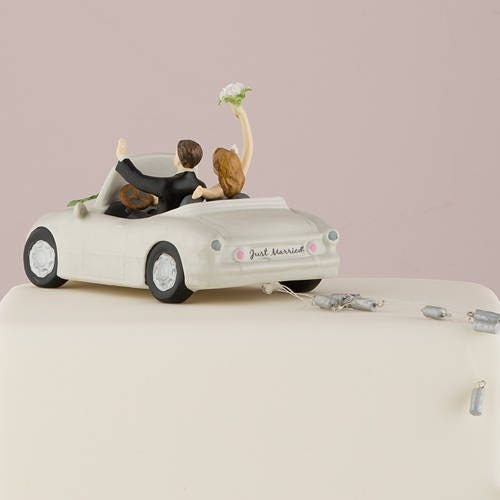 This gorgeous couple cheer as they drive off into the sun set in their 'just married' white wedding car, complete with a trail of tin cans! 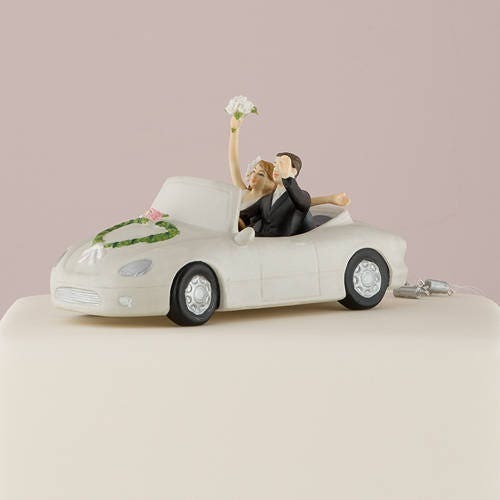 Made from porcelain and painted.